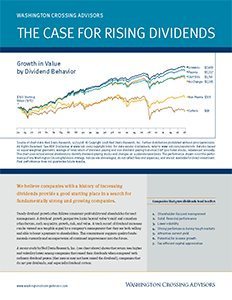 We believe that S&P 500 earnings have reached a trough and that recovery in earnings, led by cost reductions, is real and underway. Our most likely scenario calls for earnings to return to $65 by 2011 from the $40-45 in trailing-12 month earnings that are likely to be posted by the S&P 500 companies this quarter. We are marking this quarter as the trough point in that data series. 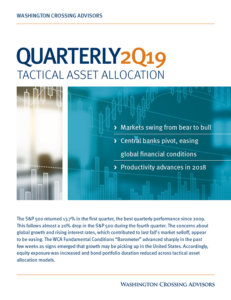 Tactical asset allocations have been returned to “neutral” positions in response to improvements in our various indicators on credit, the domestic economy, and trade.